I’ve decided to drive the rest of the week. TriMet is warning of potentially long delays on the light rail as they have to run the trains slowly in the excessive heat. Excessive heat? What are they talking about? 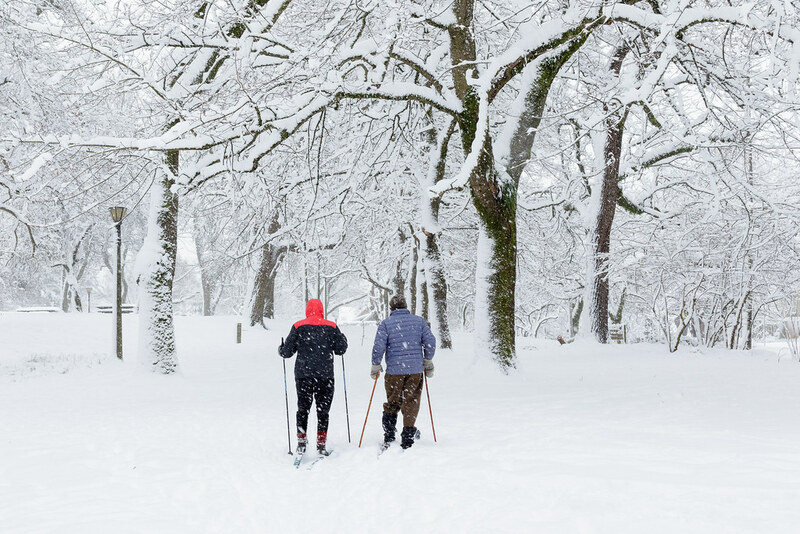 Look at these cross-country skiers in Irving Park! I was wearing multiple layers and thankful for it! Granted the thermostat said the house only cooled down to 77° overnight but I think it must have switched from Fahrenheit to Kelvin, it’s ccccooooollllddddd! I had already taken Ellie back to the house and gone out again for pictures when I came across this couple navigating the slight uphill climb near the dog park in Irving Park. I was moving more quickly on my feet than they on their skis, but we were all enjoying the snow in our own way. 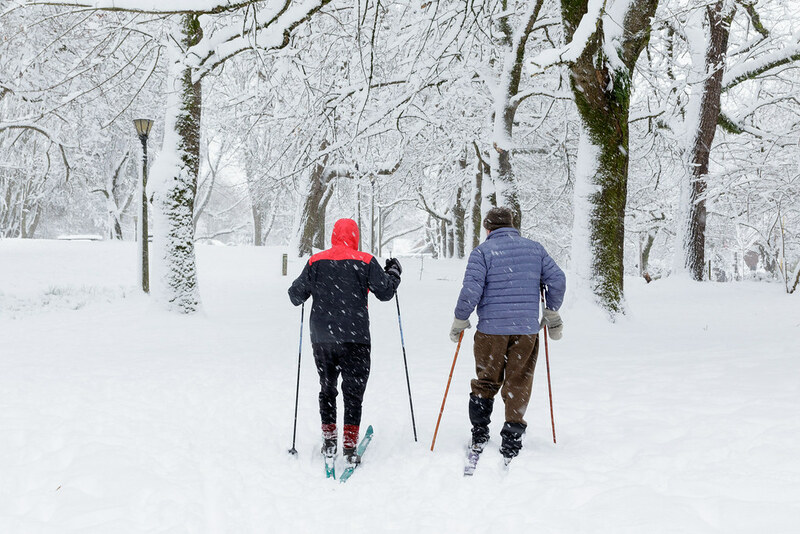 Portland’s Irving Park is a multi-use park for a variety of outdoor activities, Ellie and I visit the dog park, but this unusual winter storm added cross-country skiing to the list. 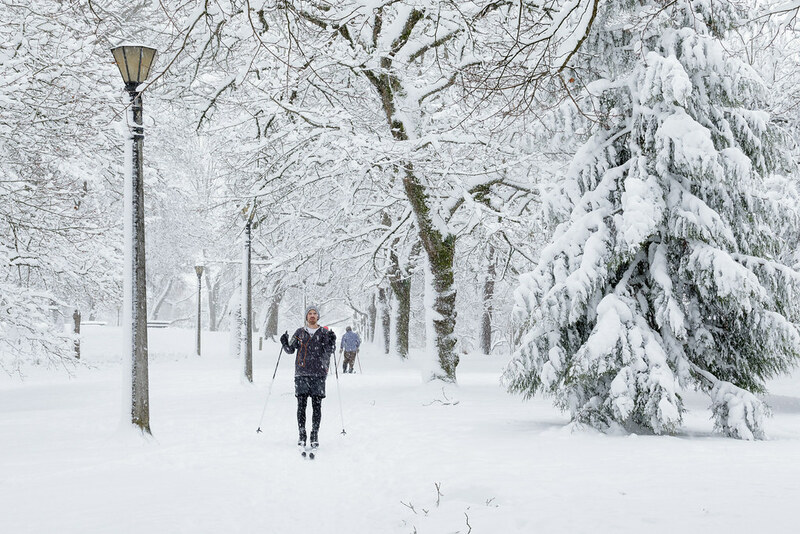 This entry was posted in Street & Travel and tagged Irving Park, Irvington, Oregon, Portland, snow, winter. Bookmark the permalink.